Carr MPs revolt over double jeopardy draft! Two New South Wales Labor MPs have strongly criticised the Carr Government's proposed abolition of the 800 year old double jeopardy rule, which stops people being tried a second time for the same crime. The left-wing MPs have branded the reforms as dishonest and unjust in a formal submission to the Attorney-General's department. Early last month the Attorney-General released draft legislation on the Government's proposed reforms to the principle of double jeopardy. Under the reforms, a person could be re-tried for crimes such as murder if new and compelling evidence such as, DNA emerges. However, emerges, [?] means until evidence is fabricated to ensure people are found guilty? Member for Liverpool Paul Lynch and Coogee MP Paul Pearce are vehemently opposed to the plan, and have made a formal submission to the Attorney-General's department, outlining their concerns. Mass DNA testing of prisoners has led to the first NSW case of a person being charged with a previously unsolved murder as a result of a controversial gene-matching data bank. The Herald reported 25 Nov 02 "a DNA saliva swab led to the charging of a former prisoner with the bashing murder of a woman. Police had been unable to find any witnesses or suspects following the murder in Sydney's inner city two years ago. Detectives had admitted they faced a tough job finding the killer." They say the Government's draft bill would allow a re-trial on much weaker evidence than just DNA testing and that it is "quite dishonest" for the Government to have presented it in the way it has. They also argue that while the bill is meant to send more guilty people to jail, it may well put more innocent people behind bars. 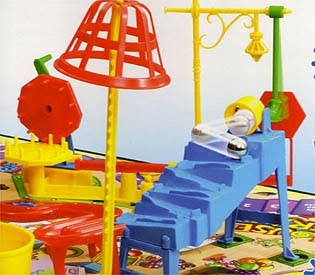 Ed: They wanted to build a better mousetrap. So they remove an 800 year old law? A law that is guarded by the Federal Constitution. Because the authorities wanted to figure out how to make people, GO TO JAIL, just add to that Trial by Media, until they're found guilty!!! What is it? This chook syndrome. Perhaps it is when we allow 800-year-old rule of law to diminish for a dictator like Bob Carr. The 800-year-old rule prevents a person who's acquitted of a criminal charge from ever being re-tried for that offense. Presumption of innocence. A hallowed principle of criminal law to the effect that the government has the burden of proving every element of a crime beyond a reasonable doubt and that the defendant has no burden to prove his innocence. It arises at the first stage of the criminal process but it is not a true presumption because the defendant is not required to come forward with proof of his innocence once evidence of guilt is introduced to avoid a directed verdict of guilty. The Civil Liberties Council says the law and order fight in New South Wales is an indictment on both the major parties. Spokesman Cameron Murphy says the State is already one of the toughest in the area of criminal justice in the world. He says the tightening of bail laws will only add to the number of people in jail. The New South Wales Opposition has described a decision by the State Government to abolish the double jeopardy law as a political stunt. A decade after crooked cop Trevor Haken rolled over at the Wood Royal Commission into police corruption, he remains in fear of his life and says he has been left out in the cold by authorities, having reached his used-by date.